Credits: Papers by Creativity by Crystal’s Room Collection, Art & Soul Papers by Sahlin Studio, Story Telling Paper by Sahlin Studio. 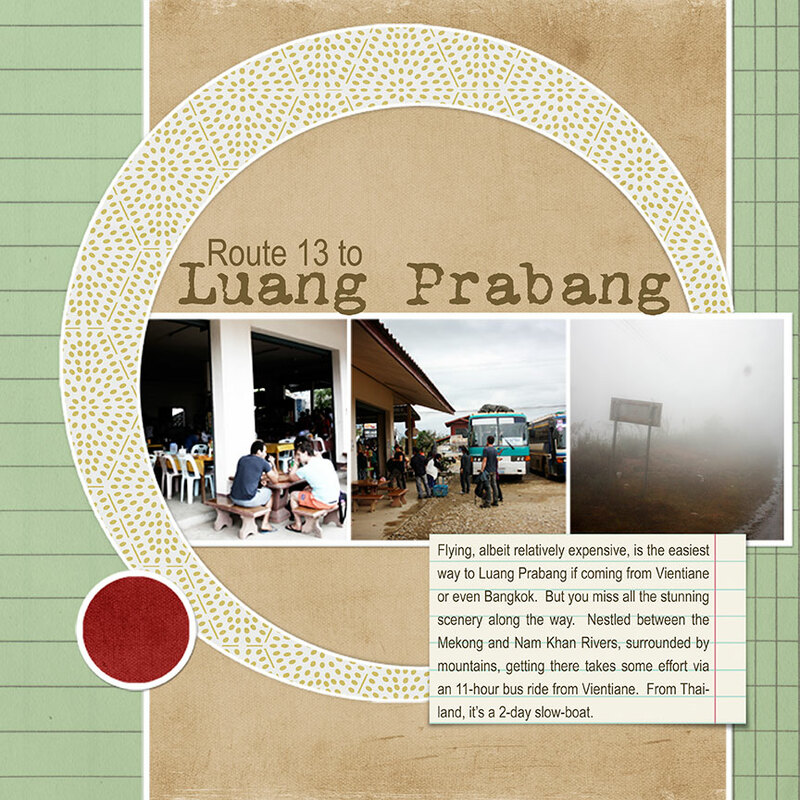 Flying, albeit relatively expensive, is the easiest way to Luang Prabang. But you miss all the stunning scenery along the way. Nestled between the Mekong and Nam Khan Rivers, surrounded by mountains, getting there takes some effort via an 11-hour bus ride from Vientiane. From Thailand, it’s a 2-day slow-boat. 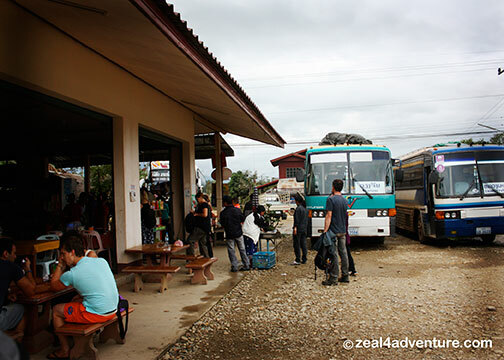 We chose to take Route 13 because it was cheaper, the scenery – stunning and we wanted to stop at Vang Vieng even for just a day (although a day isn’t really enough). From there, it still takes 7 hours on a meandering, poorly paved road leading to the ancient city, also a UNESCO World Heritage Site. The remarkable landscape makes the exhausting experience worthwhile. 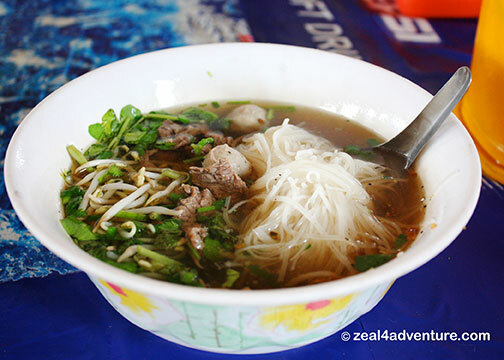 We break the trip for lunch and there I had my bowl of delightful beef noodle soup as I had planned, remembering how good that bowl of soup was in 2007. Lining up for that bowl, I watched with interest how they assembled the dish right before us. First the fresh noodles, then the beef, the vegetables and at the end of the line sits a huge pot of soup ever so gently simmering under a slow fire. The lady ladled up soup almost to the brim and handed it to me. I devoured it with gusto. It was as I remembered it to be, pretty damn good soup. 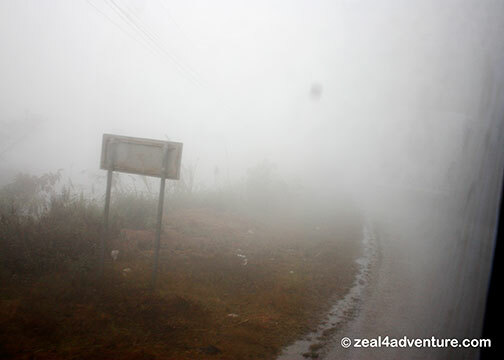 – made even scarier when the air became dense with fog, which kept me awake and praying the rest of the trip. We inched our way to the city and finally breathed a sigh of relief when we saw signs of city lights just around the bend. It took us nine hours… but all is well that ends well. Luang Prabang is worth it, I promise. Not far from our nice little boutique hotel, just across The Apsara, is a sidewalk eatery I stumbled upon on my earlier trip. 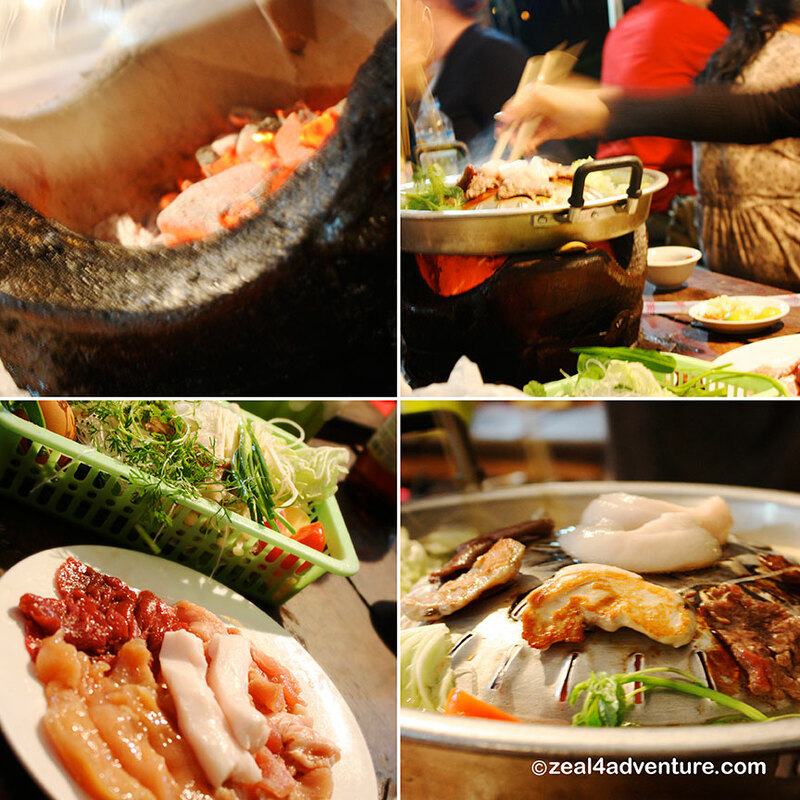 It serves a mean Laotian-style BBQ that is a much like but not quite shabu-shabu. It’s a cross between that and a Korean BBQ where the meat is grilled on the griddle while the soup is simmering on the same griddle. As the meat cooks, the fatty juices drips on to the soup and I don’t have to tell you how divine that soup gets the longer it simmer and the more drippings it gets from the meat. Brilliant. And just like that, Luang Prabang has charmed me once more, today’s dreadful last stretch erased. Getting There: Click here for more options. Great story telling! 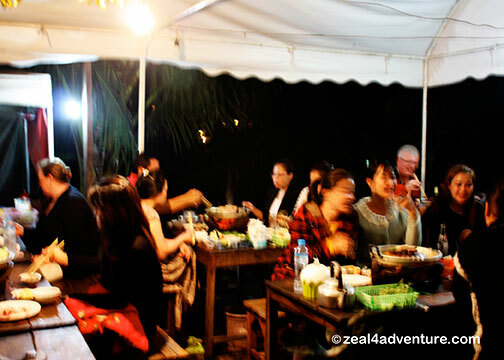 I also loved Luang Prabang!